Dr Martin J. Ball is Honorary Professor in the School of Linguistics and English Language at Bangor University, Wales. Until recently he was Professor of Clinical Linguistics and Phonetics at Linköping University, Sweden, having formerly held the position of Hawthorne-BoRSF Endowed Professor in the Department of Communicative Disorders, at the University of Louisiana at Lafayette. He received his bachelor’s degree with honours in Linguistics and English from the University of Wales (Bangor); his Master’s degree in phonetics and linguistics from the University of Essex; his Ph.D. from the University of Wales (Cardiff), and a DLitt degree from Bangor University. Dr Ball has authored and edited over 35 books, 50 contributions to collections and 100 refereed articles in academic journals. He has also presented at conferences around the world. He is co-editor of the journal Clinical Linguistics and Phonetics (Taylor & Francis); and of the book series Studies in Phonetics and Phonology (Equinox), Communication Disorders across Languages (Multilingual Matters), and Language and Speech Disorders (Psychology Press). His main research interests include sociolinguistics, clinical phonetics and phonology, and the linguistics of Welsh. He has been President of the International Clinical Phonetics and Linguistics Association; he is an honorary Fellow of the UK Royal College of Speech and Language Therapists, and a Fellow of the Learned Society of Wales. His most recent books are Principles of Clinical Phonology (Routledge, 2016) and Challenging Sonority (co-edited with N. Müller, Equinox, 2016). Nicole Müller is Professor of Speech and Hearing Sciences at University College Cork, Ireland. Her areas of research interest include clinical linguistics, clinical discourse studies and pragmatics, age-related disorders of communication and cognition, multilingualism, and systemic functional linguistics. She is co-editor of the journal Clinical Linguistics and Phonetics and of the book series Communication Disorders across Languages. This collection extends our knowledge of the important phonological concept of sonority to a range of languages (many of them under-described languages). Until now, sonority has most often been applied to languages commonly described in the linguistics literature. This volume expands the application of sonority to include languages of Africa, Asia, and the Americas, as well as phonological development in lesser reported languages. The challenges to sonority that these studies reveal is discussed in the concluding chapters where alternatives to this concept are explored. The aim of this edited collection is to extend our knowledge of the important phonological concept of sonority to a range of other languages (several of them under-described languages). Sonority in previous accounts has most often been applied to languages commonly described ion the linguistics literature. In this collection we have expanded this to include languages of Africa, Asia, and the Americas, as well as phonological development in lesser reported languages. The challenges to sonority that these chapters throw up is dealt with in the concluding chapters where alternative to this concept are explored.The opening chapters contain an overview of sonority and a review of its use in the phonology and developmental/disordered phonology literature. The other chapters all present new material. The final chapter will have some material reviewing previous alternatives to the concept as well as the author’s own original ideas. Joan Rahilly is Senior Lecturer in Linguistics and Phonetics at Queen’s University, Belfast. Her research focuses on phonetic and phonological manifestations of speech and language disorders, but she is also pursuing work on literacy acquisition amongst young people in the Northern Irish context. This chapter offers a critical overview of the core principles in sonority theory, and considers a range of current and influential studies which draw upon sonority to explain phonological behaviour. The underlying argument is that sonority-driven accounts have tended to oversimplify accounts of phonological patterns, by dividing sequences of sounds into those which observe a sonority hierarchy and those which do not, and offering a general categorisation of markedness for the latter category. With reference to natural language, and to speech acquisition and disorder in particular, the advantages and disadvantages of a sonority-based approach will be demonstrated. It will be shown that there is a need to problematize sonority, given its inability to account in a consistent fashion for non-normal yet regular patterns in speech. The chapter concludes by suggesting an analytic framework within which sonority can be accommodated alongside more revelatory approaches. Heather Goad completed her PhD in Linguistics at the University of Southern California. She is currently an Associate Professor in the Department of Linguistics at McGill University, Montreal. Her research focuses on phonology and language acquisition. She is principally concerned with motivating articulated representations for phonological behaviour and examining how these representations can inform our understanding of patterns observed in the productions of rst and second language learners. Dr Goad was formerly an Associate Editor of Language Acquisition and Co-editor of the Canadian Journal of Linguistics. She is currently on the editorial board for Language Acquisition, for John Benjamins’ Language Acquisition & Language Disorders series and for Oxford Studies in Phonology. A cross-linguistic examination of phonological behaviour generally supports the position that obstruents, except for /s/, form a single sonority class. For example, obstruents prefer to be in onset followed by segments of higher sonority. /s/, by contrast, is often less restricted. For example, /s/-initial clusters need not respect the sonority rise required of obstruent-initial branching onsets (in Indo-European); /s/ also commonly resists participating in processes that target or yield voiceless fricatives (e.g. Grimm’s Law in Proto-Germanic). Generalizations such as these support the view that obstruents are optimally located in positions that maximize their perceptibility: they prefer to ‘lean on’ adjacent sonorants. /s/, by contrast, contains robust cues for place and manner, which ensures its perceptibility regardless of where it appears (Wright 2004), and makes it resistant to participating in change. Most of the literature on the unusual behaviour of /s/ has focused on Indo-European languages. These languages typically contain sC clusters in word-initial position, so much of the literature has motivated analyses for /s/ in this context. Initial /s/ has been analysed as extraprosodic (unprosodified) (Steriade 1982); as directly organized by higher prosodic structure (syllable (van der Hulst 1984) or prosodic word (Goldsmith 1990)); or as a coda preceded by an empty nucleus (Kaye 1992). We are sympathetic to Kaye’s position, which we support through an examination of sC sonority profile across Indo-European (Goad 2011). However, sC clusters are sometimes referred to as an Indo-European ‘accident’, which leads us to the following questions: • Do non-Indo-European languages have sC clusters displaying properties similar to those seen in Indo-European? • More generally, does /s/ behave in unusual ways in non-Indo-European languages, consistent with its acoustic properties, or does it pattern with other members of its sonority class? This paper will examine the behaviour of /s/ in various non-Indo-European languages, minimally Blackfoot (Algonquian) (Frantz 2009), Ōgami (Ryukyuan) (Pellard 2009) and Acoma (Keres) (Miller 1965). In all three, /s/ functions unusually, but in ways different from what is found in Indo-European. For instance, all three languages have initial sC clusters. Acoma, though, otherwise does not permit clusters, and other properties of sC in this language suggest that /s/ is a singleton onset where an empty nucleus interrupts the putative cluster (Goad 2012). Blackfoot has initial ssC in addition to sC. In medial position, /s/ and /ss/ can be flanked by consonants. Contrasted with an otherwise simple syllabification system, Blackfoot /s/ appears to function as a vowel (Derrick 2006, Denzer-King 2008, Goad & Shimada to appear). A preliminary look at Ōgami suggests that /s/ requires the same analysis in this language (Goad & Shimada to appear). In short, /s/ patterns outside its sonority class in both Indo-European and non-IE languages, although the behaviour it displays is not necessarily the same in all languages/language families. We conclude that, although /s/ is unusual in diverse ways across typologically-related and unrelated languages, its behaviour can be analysed in terms of ordinary syllable constituents, without recourse to appendix-like machinery, if an abstract view of the syllable is adopted. Ioana Chitoran is professor of linguistics at Université Paris Diderot. Her research lies at the phonetics-phonology interface, and focuses on the relationship between temporal variability and the emergence of phonological structure and phonotactic complexity. Her work examines data from Romance languages and some languages of the Caucasus. It is known that the phonotactics of a number of languages cannot be accounted for by a strict interpretation of the sonority sequencing principle. In this chapter I will review cases of more or less extreme departure from the principle in a variety of languages, focusing on Caucasian languages. Caucasian languages present challenges to syllabification and sonority patterns, typically characterized as sonority reversals or plateaus. Relevant data include the existing consonant clusters of Georgian (South Caucasian) and the developing consonant clusters of Lezgi (Northeast Caucasian). I discuss experimental results of kinematic studies of data from Georgian. The results obtained so far suggest a view of sonority that refers to patterns of temporal coordination. I will propose a possible interpretation of the sonority scale as it relates to articulatory timing. Brent Ernest Archer is Assistant Professor in Communication Sciences and Disorders at Bowling Green State University, Ohio, USA, and hails from Johannesburg, South Africa. After graduating from the University of the Witwatersrand in 2006, he worked as a speech pathologist in a small rural hospital in South Africa. In 2012, he moved to Lafayette to pursue a PhD in Applied Speech and Language Sciences. His research interests include uency disorders, aphasiology and service provision for bilingual clients. Clements argued that languages have a tendency to sequence phonemes such that there is maximum difference between the onset and nucleus of syllables. This phenomenon has been labeled the Sonority Sequencing Principle (SSP). This chapter describes a study which investigated the SSP in Zulu, a Southern Bantu language spoken in South Africa. ‘Ukwabelana’, an open source corpus of Zulu words developed by the University of Bristol contains over 15 000 items (Spiegler, van der Spuy, & Flach, 2010), provided a large pool of data. A more precise characterization of ‘tendency’ was needed before analysis could proceed. I selected concepts from the discipline of statistics to arrive at a clearer statement of this construct viz. mode as a measure of central tendency and normal distribution as a description of ranking patterns among syllable shapes (after Hinton, 2004). The definition of the sonority sequencing tendency which informed this study was thus: when considering sonority transition patterns across a large number of syllables in a language, the mode configuration (i.e. most popular configuration) will be the ideal (following Clements, 1992, maximum sonority difference between onset and nucleus). All non-ideal configurations should be ranked below the mode; as configurations move further and further away from the mode, fewer and fewer syllables should display these configurations i.e. configurations will be normally distributed from the mode. For the purposes of this study, I used the sonority rankings provided in Ball, Müller, & Rutter (2010) supplemented by information from a variety of other works (e.g. Cruttenden, 1992). Based on this hierarchy, it was possible to calculate sonority transition scores for syllables. This score was operationalized as the difference in sonority ranking between the onset and the nucleus of a syllable (since the corpus to be analyzed in this study is a Zulu one, and Zulu is a typical Bantu language that does not permit CVC syllables, the analysis was confined to onsets and nuclei). Transition score distributions according to the predictions of the SSP were compared to transition score distributions actually present in the data. Neither the mode or anti-mode configuration predicted by the accepted conceptualization of sonority matched the mode or anti-mode configurations present in the data. The Spearman’s rho and consequent R2 statistic calculated to determine the association between the predicted and actual arrays was consistent with a very low correlation (R2=0.05). The tendency of Zulu to sequence syllables such that maximal sonority differences exist between onsets and nuclei would appear to be a very minor one. If some universal pattern of syllable formation does indeed exist, this analysis seems to suggest syllable shape distributions are the product of an organizing principle other than sonority sequencing. Claims that rigid sonority patterning tendencies are ‘hardwired’ into the brain (Christman, 1992; Sussman, 1984) seem less defensible when such sonority trends are absent from natural language data. Similarly, the argument that acoustic peaks and valleys at the borders between syllables help listeners to comprehend the speech signal (Ohala, 1990) seems to deserve less credence, at least in respect of Zulu speakers. Other mechanisms (semantic and syntactic forms of utterances, etc.) 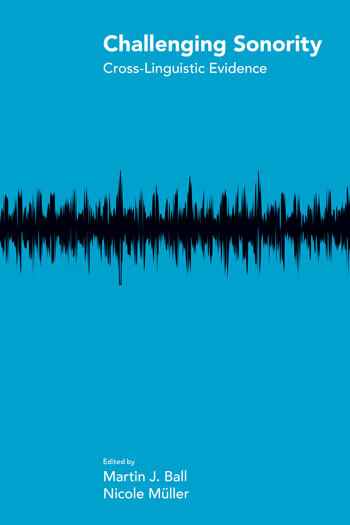 should be considered before an accurate picture of how speech sounds are decoded can emerge. Matthew Faytak is a doctoral candidate in Linguistics at the University of California, Berkeley. His research centres on the complex relationships between phonological encoding, phonetic implementation, and sound change, with a particular focus on the actuation of intracategorical change and its possible outcomes. He has written on phonotactics and cross-linguistically unusual vowel articulations of languages of Cameroon and China. Syllabification and sequencing phonotactics are thought to reference the sonority of the segments in an input string. The Sonority Sequencing Principle (SSP) holds such that a syllable nucleus will exceed its margins in sonority (Clements 1990, Zec 1995). Additionally, it has been observed that syllabification of a given segment class implies syllabification of all more sonorous classes (Blevins 1995). Both generalizations, first formulated in abstract phonological terms, are easily adapted to a model of sonority grounded in acoustic characteristics of segment classes (Parker 2008, Clements 2009). I suggest that the above two generalizations do not extend to two languages of the Cameroon Grassfields, Kom and Limbum. Two fricative vowels present in each of these languages are produced (respectively) with labiodental and strident coronal frication—that is, they are produced as obstruents (cf. also Connell 2007). As such, syllabification in these languages is problematic: the obstruent fricative vowels are syllabified where several types of non-obstruents are not, counter to previous predictions. Furthermore, several permitted onset-nucleus sequences violate the SSH, as a fall in sonority may be observed between the onset and the nucleus. Virtually identical phonotactics can be found in numerous unrelated languages outside the Grassfields (Faytak, in press), suggesting that the fricative vowel problem is not confined to one linguistic area. The SSH and implicational statements on syllabification can both be salvaged if the sonority hierarchy is removed from a substantive basis in acoustics. In the case of Kom and Limbum, the fricative vowels derive historically from more typical high vowels *i and *u, such that they could be counted as non-obstruents in some abstract sense. However, if sonority is removed from phonetic substance to broaden empirical coverage, the concept becomes circular. I consider modifications or alternatives to the typical substantively grounded account of sonority and find that segment modulation in a number of acoustic dimensions (Ohala and Kawasaki-Fukumori 1997), rather than segment sonority, provides the greatest explanatory power for Kom’s phonotactics. Qiang Li is associate professor at the School of Foreign Languages, Dalian University of Technology, China. He is currently working towards his PhD in the Department of Communicative Disorders, University of Louisiana, Lafayette, USA. His research interests are focused on language perception, especially on how people with language disorders perceive a language, in order to explore more general patterns of language perception in human beings. Currently he is studying tone perception at the phonetic and phono- logical levels in Chinese speakers with aphasia, together with relative clause comprehension at the syntactic and semantic levels, in order to investigate patterns of perception in Chinese. The Sonority Sequencing Principle (SSP) has been viewed as the fundamental tenet of sonority theory on a sonority ranking scale. Yet few studies focus on Mandarin Chinese when examining the sonority hypothesis, except for Chung, Code and Ball (2004) on Cantonese. The current study investigated the 2500 most commonly used modern Chinese characters, summarized the patterns of their phoneme ordering, and analyzed the distributions of the patterns of phoneme ordering. The results show both agreements and disagreements when compared with the SSP. These results can be explained either because the SSP is not universal, or because the 2500 Chinese characters chosen are not thoroughly representative of Mandarin Chinese. Thus more data are suggested to be collected and analyzed. Anastasia Karlsson is an Associate Professor in Phonetics at Centre for Languages and Literature, Lund University, Sweden. Her research interests focus on the interplay between prosody and information structure in spo- ken discourse, interplay between intonation and lexical tones, realization of lexical tones in singing, and aspiration in Mongolic and Turkic languages. She mainly works with Mongolian, Kammu (Mon-Khmer) and Formosan (Puyuma, Bunun and Seediq) languages. Jan-Olof Svantesson is Emeritus Professor of General Linguistics at Lund University, Sweden. His main research interests are the phonology and morphology of Mongolic and Austroasiatic languages. Syllabification in Mongolian is achieved by vowel epenthesis and is governed by three principles: The Sonority Law, Right-to-Left Syllabification and the principle of Cyclicity (Svantesson et al. 2005). Because of the agglutinative nature of Mongolian, derivations and inflections are formed by the addition of suffixes to the stem. The syllabification of affixed words is cyclic, so that words are syllabified at each addition of a new affix, that is, at each morphological cycle. Words are syllabified as monomorphemic words until a new affix requires the insertion of a schwa in the already-syllabified part of a word. The insertion is blocked by the Resyllabification Constraint. These rules were worked out on the basis of carefully pronounced isolated words. We find systematic differences in syllabification between casual speech and formal speech (Karlsson 2005). The Sonority Law and Right-to-Left Syllabification are active in casual speech, but the Sonority Law needs to be redefined: only voiced consonants are marked for the sonority feature in speech, while voiceless segments are unmarked for this feature and can combine freely to form a coda until articulation disallows it. It is also interesting that consonant clusters, even those with adjacent identical segments, are seldom reduced in Mongolian speech, and all segments are fully realised (Karlsson&Svantesson 2007). Simplification of consonantal clusters is instead realised by assimilation of the manner of articulation in some contexts. Voicing assimilation, which is frequent but non-compulsory, is the reason for different syllabifications of the same word. Phonemic vowels can be deleted in speech due to devoicing and this is not connected with syllabification and does not influence it. Epenthesis is much more frequent in final consonant clusters than in word-internal position. While word-internal epenthesis is governed primarily by voicing, articulation is the chief factor for schwa insertion in word-final clusters. Syllabification in informal speech is non-cyclic and this may also be connected to syllabification over word boundaries (ongoing study). Based on the Mongolian data we will also discuss the place of the syllable in phonological representation and also whether the domain of syllabification should be reconsidered to be larger than a word for some languages. Samira Farwaneh is an associate professor of Arabic language, linguistics and pedagogy at the School of Middle Eastern and North African Studies at the University of Arizona. Her research focuses on Semitic phonology, morphology and sociolinguistics, particularly diglossia, bilingualism and language and gender. In this paper I show, through an examination of permissible and impermissible coda sequences in Palestinian Arabic (PA) that the Sonority Sequencing Principle is a necessary but not sufficient constraint on syllable melody as it overgenerates impermissible sequences and fails to account for some permissible ones. The data which consist of monosyllabic deverbal and lexicalized nominals of the shape CVCC (superheavy syllables) reveal that in order to properly characterize the phonotactic properties of PA rhymes four principles are needed, three universal and one language-specific: the SSP, the Obligatory Contour Principle (OCP), Markedness constraint on obstruent sequences, and a coda condition on gutturals, none of which is reducible to the other. Section (1) of this paper gives an outline of the syllable structure in PA. The role of Sonority in well-formed complex codas is taken up in section (2) which favors a general Sonority Scale as in Clements (1988) over a scale with obstruent subdivisions (Jacobson 1904 and his followers). It also argues for the SSP as a negative condition on syllable templates thereby excluding sequences with rising sonority value only. Sections (3) discusses the role of the OCP, Section (4) addresses Markedness effects in determining optimal obstruent sequences with distinct feature values; they cannot be explained under the SSP because they possess the same degree of sonority. Nor can they be accounted for by the OCP because their feature value specifications are not identical. Section (5) shows that OCP and markedness effects cannot be viewed as a minimum sonority difference requirement between adjacent syllable positions, Hence, neither principle is reducible to the SSP. section (6) discusses apparent violations of all principles discussed, all of which involve redundant values. The language specific condition on gutturals is discussed in section (7). Marie Klopfenstein is an Assistant Professor in the Speech Pathology and Audiology Program at Southern Illinois University Edwardsville. She has published work on sonority previously, including on cluster realizations in a child with phonological disorder. Her future research considerations include look- ing at the relationship between naturalness and intelligibility in speech disorders and the use of acoustically manipulated auditory feedback as facilitated by the use of apps with transgender voice services. Ottawa is an Algonquian language spoken by an estimated 8,000 people from southern Ontario to northern Michigan. It is one of several dialects of Ojibwe, including Severn Ojibwe, Algonquin and Northwestern Ojibwe. This chapter concerns the Ottawa dialect specifically. It is known by other names, including Odawa or Nishbaabemwin by its speakers, which means ‘Indian language.’ Ottawa’s phonology includes seventeen consonants, seven oral vowels, and four long nasal vowels. It also features vowel syncope and when combined with Ottawa’s system of inflectional morphology using prefixes and suffixes, allows for a variety of consonant clusters both syllable-initially and finally. In Ottawa, metrically weak vowels tend to be deleted. Standard feet consist of two syllables, one weak and one strong, respectively. The Sonority Sequencing Principle (SSP) proposes that the syllable nucleus is the peak of sonority within the syllable, with progressively decreasing sonority values in the onset and coda, if present. Because of Ottawa’s vowel syncope and inflectional morphology, there are many examples of syllables that violate the latter aspect of the SSP. While it is well-known that languages like English and Russian also violate the SSP in some of their possible syllable structures, this chapter will examine Ottawa, a less commonly studied language, for any support it can lend to the various approaches that have been proposed to account for exceptions to the SSP. Sonya Bird is an Associate Professor of Linguistics at the University of Victoria, British Columbia, Canada. Her research focuses on the phonetics of Salish and Dene languages of British Columbia, most recently the SENĆOŦEN dialect of North Straits Salish. Her work is primarily on the phonetic realization of articulatorily complex sounds and sequences of sounds, and on how this realization varies across speakers and languages. She has also recently expanded the scope of her work to second language acquisition of pronunciation in the context of language revitalization. Ewa Czaykowska-Higgins (Linguistics, University of Victoria, British Columbia, Canada) has been a scholar of Salishan phonology and mor- phology for about 30 years, and has worked on both the Nxaʔamxčín and SENĆOŦEN Salish languages. Together with the late M. Dale Kinkade, she co-edited Salish languages and linguistics (1998). Her current research includes projects on phonological structure in Nxaʔamxčín and completion (with Colville Tribes’ Nxaʔamxčín Language Program) of an online database and related print dictionary of Nxaʔamxčín legacy materials recorded in the 1960s and ’70s by Dale Kinkade. Salish languages are characterized by highly complex sound systems, with large consonantal inventories as well as long and complex consonant clusters (Czaykowska-Higgins & Kinkade 1998), as in for example the Nxaʔamxcín word snkɬxwpáw’stn ‘clothesline’ (Czaykowska-Higgins & Willett 1997). The details of how these long clusters are syllabified are complex, and various analyses of them have been proposed (Bagemihl, 1991; Czaykowska-Higgins & Willett, 1997; Shaw, 2008; Urbanczyk, 1996). One relatively consistent finding across Salish languages is that, stem-initially, obstruent-obstruent (OO) clusters are allowed but obstruent-resonant (OR) clusters are not, which seems to contradict predictions made by the Sonority Sequencing Principle. While the syllabification of consonant clusters in Salish languages has generated much scholarly work over the past 25 years, it has primarily been in the area of phonology, with almost no instrumental analysis of the pronunciation of these clusters, and therefore no indication of what that instrumental analysis might tell us about syllabification. The goal of this paper is therefore to provide the first systematic phonetic study of Salish consonant clusters, and to answer two questions: what transitional elements exist within consonant clusters, and what do these transitional elements tell us about how clusters are syllabified? For example, is it really the case that OO clusters are allowed, but OR clusters are not? As a starting point, we will consider clusters in Nxaʔamxcín (Interior Salish), extracted from a 30 minute long text recorded with a fluent elder in 1991. Auditory and acoustic analysis will be conducted on these clusters, with particular focus on OO clusters in different morphological domains, and on the transitional elements which may or may not occur within them (voiced and voiceless schwas; consonantal releases). By taking a phonetic approach to syllabification in Salish languages, we will be able to 1) evaluate whether (and how well) the Sonority Sequencing Principle (SSP) and sonority hierarchy hold up for Salish syllable structure, and 2) compare accounts of Salish syllable structure based on the SSP with accounts based more directly on phonetic factors, such as perceptual recoverability (Henke, Kaisse & Wright 2012). Jason Brown is Senior Lecturer in Linguistics at the University of Auckland. He has been involved in language documentation research for many years, and has written at length on the Gitksan language, including his PhD dissertation Theoretical aspects of Gitksan phonology. His research is focused on phonological theory, and is concerned with segmental and prosodic phenomena, as well as the interaction between phonology, morphology and syntax. While many languages of the world are very limited in what kind of consonant clusters are tolerated by their phonologies, many other languages allow extensive clustering of consonants. Gitksan, an Interior Tsimshianic language of British Columbia, Canada, allows relatively extensive clustering of consonants. This paper outlines the phonotactics of Gitksan (Tsimshianic) by attempting a summary of the generalizations presented in Rigsby (1986). Word-initial position, which is the focus of the present study, yields many combinations of possible consonant sequences in the language. For example, in word-initial bi-consonantal clusters, stops can be sequenced before fricatives, and they can even be sequenced before other stops. Fricatives exhibit a similar distribution, where they can be sequenced before both stops and other fricatives. Thus, there is prima facie evidence that any constraints on sonority sequencing in the language are lowly ranked. Curiously, however, there are relatively severe restrictions on sonorants. Sonorants cannot co-occur, and while sonorant consonants can be sequenced after fricatives (i.e. fricative + sonorant) in word-initial position, there is a gap corresponding to stop + sonorant sequences. This gap extends beyond word-initial position: there are no stop + sonorant sequences present in the language (i.e. this type of sequence is missing in word-initial, word-medial, and word-final positions, regardless of syllable affiliation of the consonants). This gap is unexpected, since fricative + sonorant sequences are tolerated by the language. A sonority account (where sonority must rise a given amount in an onset) is inadequate, as fricatives are presumably more sonorous than stops; likewise, different versions of sonority, such as the Syllable Contact Law are likewise inadequate, as the restriction is evident in word-initial contexts where the consonants are tautosyllabic. An alternative approach to sonority is entertained for this gap, namely, one based in perceptual similarity (cf. Henke, Kaisse & Wright 2012), where it is the perceptual distance, rather than sonority distance, that is encoded in constraints on clustering. Papiamentu’s syllable structure includes a large number of syllable types (Blevins 1995). Previous studies recognize six types in this language (Klein 2011:182, Maurer 1998): V, CV, CVC, VC, CCV, and CCVC. Following Levelt and van der Vijver (2004), this places Papiamentu in the Marked III class regarding its syllable structure. However, this language exhibits a larger number of types than the ones reported, including syllables with complex codas (CVCC), matching languages in the Marked IV type, like Dutch. There are words with complex codas that originate in different lexical sources: accent (English), ‘accent’; and Diaweps (Spanish día jueves), ’Thursday’. Moreover, even words of Dutch origin, like heft, ‘to join, to stitch’ (from hechten), exhibit complex codas not attested in the source (Martinus 1997:30). More importantly, some complex onsets and codas in Papiamentu do not comply with the sonority scale. If we take into account melodic features to analyze syllable structure, the description becomes more challenging to current theories of syllabic organization. Complex onsets and codas might consist of the least sonorous segments placed closer to the syllable nucleus: skol, Diaweps. This is attested even in cases in which the lexical sources have onsets and codas tht comply with the sonority scale, indicating that these constitute system internal constraints on the phonotactic organization of melodic features, not exceptions. This study describes syllable structure and melodic composition of onsets and codas in Curaçaoan Papiamentu. The analysis includes spontaneous speech samples for twenty (20) participants, including more than ten (10) hours of conversations with a native speaker. A phonetic description of codas and onsets that do not comply with sonority constraints is the core component of the data analysis. Furthermore, this study compares native performance with that of Spanish-Papiamentu bilingual speakers, as described in previous studies of the Aruban variety (Rivera-Castillo and Andre Mather, forthcoming); and compares Papiamentu onsets with those other Creoles that do not comply with sonority restrictions, such as Sranan (Armstrong 2007). This study provides evidence that supports Klein’s (2011) contention that Creoles can have a large set of syllable types (not just CV). It also demonstrates that sonority is not necessarily a core component in the melodic organization of the syllable. University of Pavia and the Free University of Bolzano/Bozen (Italy) in 2014. This study deals with the realization of dental affricates /ts dz/ in the variety of Bozen Italian, and shows the emergence of a new sonority degree between voiceless and voiced. The town of Bozen represents a unique case in Italian sociolinguistic landscape, since the region of South Tyrol is officially trilingual (Italian, German, and Ladin), with German as the most spoken language in the whole area, whereas Italian is limited to the main town such as Bozen. Moreover, the Italian community of Bozen came from different regions of Italy during the last century, thus constituting a very heterogeneous community of speakers. Quite surprisingly, no study has been dedicated to the linguistic investigation of this variety. For this study a sociophonetic approach has been chosen, with the aim to describe the variation between fine-grained phonetic variation and social variables. 42 Italian speakers of Bozen were recorded for a total amount of about 43h42’ recordings. Speakers were of different ages, sexes, levels of education, and districts of residence in Bozen. Leaving aside spontaneous speech, in this paper the analysis will concentrate on the 4244 tokens elicited through a word list. Each token has been annotated in PRAAT following a specific annotation protocol prepared for this study, to allow the recognition of the sonority degree, and to automatically take some measurements on the different portions of the affricates. At the sonority level, the acoustic analysis has shown the presence of three sonority degrees: a whole voiceless affricate [ts], a whole voiced affricate [dz], and an in-between phone with the occlusive part produced as voiced and the fricative part produced as voiceless. This new phone was called “mixed” in the data annotation, and treated as a different voicing degree in the statistical analysis of data. The analysis showed that, in terms of duration, “mixed” affricates are shorter than voiceless ones, but longer than voiced, thus constituting a real intermediate voicing category. Regarding the phonological distribution of these phones, it appears that “mixed” affricates are more common after a sonorant but regardless of the following vowel (e.g. pranzo “lunch”, calzino “little sock”, forzuto “strong man”). Sociophonetically speaking, “mixed” affricates show the highest percentages of use in the production of women, old speakers, and speakers with a low degree of instruction. The use of these affricates decreases in younger speakers, men, and speakers with a high degree of instruction (e.g. BA or MA). This distribution leads to the hypothesis that this unattested sonority degree has been developed in the Italian variety of Bozen due to contact between different regional varieties of Italian. As a matter of fact, there is great variation in the distribution of the sonority degree of dental affricates among different regional varieties: for instance, the affricate in pranzo “lunch” is mainly realized as voiceless [ts] in North Western varieties, but it is voiced [dz] in many Southern varieties. The same variety, however, can allow both the realization, according to the dialectological literature actually at disposal. Thus, speakers coming from different dialectal backgrounds may have development a new sonority degree of dental affricates as a sort of accommodation strategy between voiced and voiceless alternatives. This “mixed” realization seems to be less used by youngest speakers, at least in the very formal setting elicited through word list reading. A case study exploring the diaphasic variation of these realizations in a specific group of speakers (i.e. five members of the same family) showed, however, that younger speakers do use “mixed” affricates in a more spontaneous speech (e.g. during the interview). This seems to indicate that this variable is perceived as characteristic of the Italian of Bozen, but not prestigious, at least for the youngest speakers. Speech, Language, and Hearing Research; Language Acquisition; and Lingua. theory and acquisition: In honor of Daniel A. Dinnsen (2014). This chapter will provide an overview of the research that has focused on the role of sonority in phonological acquisition, to include both first and second language acquisition, as well as typical and atypical populations. Particular attention will be paid to the role of sonority in error patterns and in the acquisition of complex syllable structure. Specifically, sonority is implicated in complex syllable simplification patterns, as with coda deletion and cluster reduction. In addition, sonority has also shown to play a role in the specific order of acquisition of complex syllable structures, such that clusters with a large sonority distance are acquired before those with small sonority distance. While sonority can account for many such patterns, there are, not surprisingly, other instances where the sonority account fails. Alternative and complementary accounts for these exceptions that appeal to such concepts as syllable organization, morphology, and frequency effects are discussed. Mehmet Yavaş is a Professor of Linguistics at Florida International University. (2014) and Applied English phonology (3rd edition 2015). Several acquisition studies have observed the effect of sonority on onset cluster productions. Clusters rising with large sonority distance from C1 to C2 are considered less marked than clusters rising with small sonority distance and level or falling sonority. There is, on the other hand, typologies developed indicating that clusters which violate Obligatory Contour Principle (OCP) for continuance are more marked than those that do not. The two principles may have contradictory predictions with respect to the developmental patterns. This chapter examines the longitudinal data from a Greek-English bilingual child with respect to her acquisition patterns of /s/ clusters and tries to see which of the two modes of explanation are supported by her productions. Targets included are /sp, st, sk/ (for both languages), /sm, sn, sl, sw/ (only for English), and /sf, sx/ (only for Greek). Production patterns reveal that /sp, st/ (falling sonority) and /sm, sn/ (small rises in sonority) are acquired much earlier than others indicating support for OCP (C1=continuant & C2= non-continuant). The remaining targets which are either level sonority (/sf/, /sx/) or rising with greater sonority distance (/sl/, /sw/) all violate the OCP (they are all C1 and C2 are continuant) and are later in acquisition. While the overall patterns of accurate productions are supportive of the OCP explanations, the patterns in reductions lean towards sonority explanations in that, in general, the more sonorous member is commonly deleted from the cluster thereby providing a greater jump in sonority from the retained less sonorous member to the vowel. (2012), and most recently at the Hildesheim Conference, Germany (2014). This paper aims to test and describe the reliability of the sonority scale principle (Clements, 1990) on the acquisition of clusters of monolingual normally developing Egyptian children aged two to three years. In order to be able to evaluate the influence of SSP on the structure of clusters of Arabic phonological disorders we need first to investigate its accuracy on the process of normal cluster acquisition as done by the current study. During the cluster acquisition children exhibit certain types of cluster simplification phonological processes (such as cluster reduction) till they fully master the clusters. By the analysis of these types of phonological processes on the Arabic language from the sonority perspective we can contribute on shading light on the validity of SSP as a universal phonological predictor for the sequences of the consonant clusters. The Sonority Sequencing Principle (SSP) (Clement, 1990; Whitney, 1865) proposes that phonemes with high sonority values are placed towards the centre of the syllable, while phonemes with low sonority values are located at the syllable margins. In accordance with SSP, the Sonority Hypothesis (SH) (Ohala, 1999) hypothesized that children reduce word-initial consonant clusters in a way that creates a maximal rise in sonority, and word-final consonant clusters are lessened to produce a minimal fall in sonority. The sonority values of special sounds and the related approaches were employed for the analysis of the articulation of consonant clusters by children with typical speech development and the children with speech impairment (e.g., Chin, 1996; Gierut, 1998; Ohala, 1999; Pater and Barlow, 2002; Vasanta, 2006; Gerlach, 2010). The majority of these studies, which are generally on the acquisition of onset clusters, assume SSP as the main motivating factor for cluster reduction because, in their studies, onset clusters are reduced to the less sonorous segment as predicted by SSP. Keeping in mind the results from previous studies, the present study examines and compares the Sonority patterns in the production of some typically developing (TD) children and the children with functional (non-organic) phonological disorder (PD) acquiring Farsi as their first language. It aims to investigate if SSP and SH applies to cluster reduction and a few other processes happened in typical and atypical children acquiring Farsi. Data for the present study were collected from five typically developing children and five phonologically disordered children. Data collection was carried out through a test called Naming-Picture Task and a 15-30 minutes free recording. There are just samples of word-medial (abutting) and word-final (coda) clusters in the data, as there is no word-initial cluster in Farsi. The collected data was considered and the results were analysed in Optimality Theory (OT). The results of this study led us to new insights on the role of sonority and the related hypothesis in cluster reduction. Unlike the previous studies, the production of coda clusters in present study says the opposite to SSP and SH. Because, in spite of the prediction of SSP and SH, the coda clusters produced by both PD and TD children acquiring Farsi do not keep the most sonorous segment. Conversely, they act as onset clusters in the aforesaid studies and reduce to the less sonorous segment in the clusters that, in general, are articulatory less marked segments too. However, though in this study no significant traces of the effects of sonority hierarchy have been observed in cluster reduction, the processes such as substitution, metathesis and voicing/devoicing modifications indicate some effects of sonority scale on these processes. The present study concludes that, both, in PD and TD children there are other factors motivating cluster reduction in coda clusters and probably in onset clusters, such as Articulatory Ease and Continuity Preservation, than sonority hierarchy. However, SSP shows some role in minimal cluster repairs. Chris Code is Professorial Research Fellow in the School of Psychology, Foundation Professor of Communication Sciences and Disorders (Hon) at the University of Sydney, Visiting professor University of Louisianna at Lafayette and used to be Research Manager for Speakability, the British lobbying and advocacy charity for aphasic people conducting research into the psychosocial consequences of aphasia and is Speakability‘s National Adviser on Aphasia. He is Patron of AphasiaNow. He has also been Fellow of the Hanse Institute for Advanced Stdy, Delmonhurst, Germany and Visiting Professor at the University of Bremen, Germany. His research interests include the cognitive neuroscience of language and speech, psychosocial consequences of aphasia, aphasia and the evolution of language and speech, recovery and treatment of aphasia, the public awareness of aphasia, the neuropsychology of number processing and speech and limb apraxias, facial action. He is co-founding Editor of the international journal Aphasiology, past Editor of the International Journal of Language & Communication Disorders and the Australian Journal of Communication Disorders, and is on the editorial boards of several journals. His books include Aphasia Therapy (1982 with DJ Müller), Language, Aphasia and the Right Hemisphere (1987), The Characteristics of Aphasia (1991) and Classic Cases in Neuropsychology (Vol I, 1996; Vol II, 2002) (with C-W Wallesch, Y. Joanette & AR Lecour) and Milestones in the History of Aphasia (2008) (with Juergen Tesak). He is a Fellow of the British Psychological Society and Fellow of the Royal College of Speech and Language Therapists and was recently honoured with a festschrift, Clinical Aphasiology. edited by MJ Ball & Jack Damico . He received the Robin Tavistock Award for Services to Aphasia in 2010. 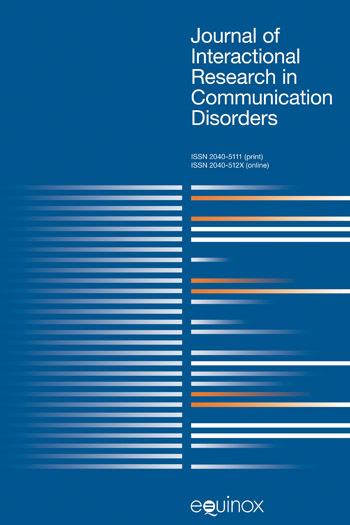 Many acquired neurogenic disorders have implications for accurate speech production. Some of these affect motor planning and motor execution (see Code and Ball, 1988), others have an impact on higher levels of speech organization. Speech problems associated with various types of aphasia have been the focus of sonority-based analyses for some time. Studies have included, for example, Christman’s work on sonority and neologistic jargon (1992a, b), and Code and Ball’s study of recurrent utterances (1994). In this chapter, we examine a range of data from aphasia and aphasia-like disorders. These include lexical and nonlexical recurrent utterances (or speech automatisms) in English, German and Chinese; patterns of gradual speech loss in progressive speech deterioration, and two cases of what Alajouanine (1956) and Perecman and Brown’s (1985) would term undifferentiated or phonemic jargon, respectively. For all these cases we described where sonority does, and does not, seem to explain the data, and speculate on whether sonority is hard-wired into the brain. of the Bloomsbury companion to phonetics (2013). Sonority remains the cornerstone of the analysis of syllable structure and syllabification, despite the existence of a circularity in definitions of sonority and a large number of long-standing problems with the sonority hierarchy. This chapter reviews evidence not just for sonority but for syllables themselves, both in perception and production, and argues that the role of segmental events has been underestimated in analysing syllable structure. Alternatives to sonority do exist and these alternatives offer insights into the motivation for many processes which otherwise appear mysterious. 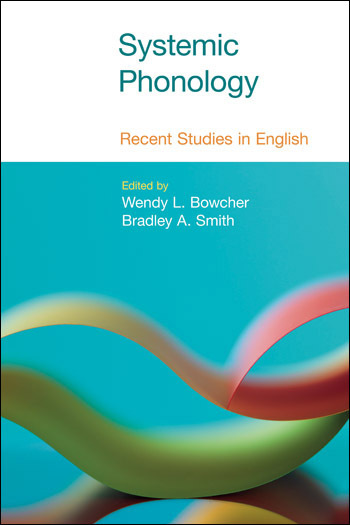 The aim of this edited collection is to extend our knowledge of the important phonological concept of sonority to a range of other languages (several of them under-described languages). Sonority in previous accounts has most often been applied to languages commonly described ion the linguistics literature. In this collection we have expanded this to include languages of Africa, Asia, and the Americas, as well as phonological development in lesser reported languages. The challenges to sonority that these chapters throw up is dealt with in the concluding chapters where alternative to this concept are explored. Material. The opening chapters contain an overview of sonority and a review of its use in the phonology and developmental/disordered phonology literature. The other chapters all present new material. The final chapter offerssome material reviewing previous alternatives to the concept as well as the author’s own original ideas. [Challenging Sonority] ... is successful in examining sonority by studies which cover a wide range of research questions and apply various methodologies.